Bass Coast music festival organizers say they're overwhelmed by the international response to their headdress policy that bans attendees from wearing the culturally significant head wear. What started as a policy decision by the Bass Coast Music and Arts Festival in Merritt, B.C., has exploded into an international discussion on cultural appropriation and a movement to stop revellers from wearing First Nation-style headdresses to parties around the world. The feathered headdress has become a sensitive pop culture phenomenon, springing up in fashion shows, music videos and on the heads of partygoers from Coachella to Bonnaroo. But in a statement posted last week on Facebook, Bass Coast organizers explained that headdresses are unwelcome at this weekend's festival, which takes place on indigenous territory, and that security would be enforcing the ban. "This has been an ongoing topic of debate within electronic music and within festivals and our core team felt it was time to take a stand," he said. "There are many Indian bands in the area, many reservations, so we want to be good neighbours. We want to be respectful of aboriginal people not only in the area … but across Canada and North America." Brooks said he's received an outpouring of thanks and support for the ban, including international media attention from Buzzfeed, Jezebel, and the British online publication the Guardian. He also got a tweet of approval from Juno-award winning aboriginal DJ group A Tribe Called Red, who are headlining Bass Coast this year. 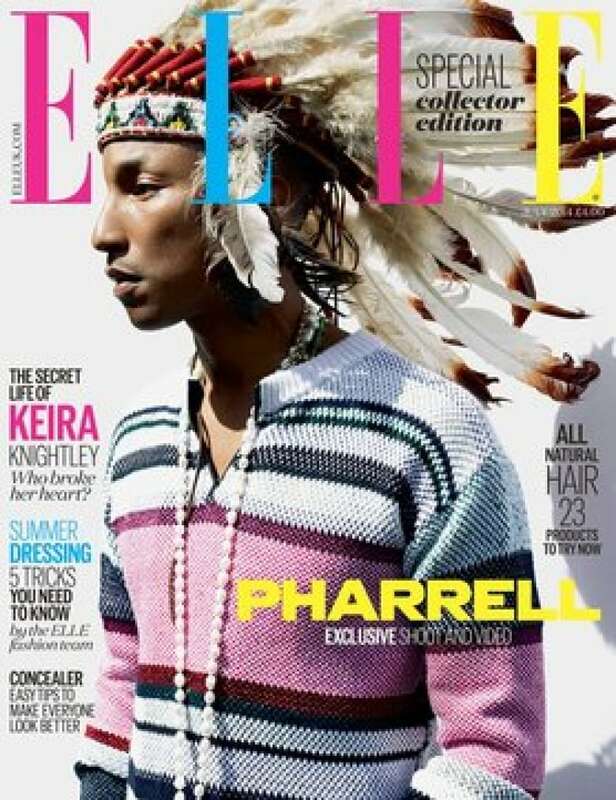 The headdress controversy became front-page news, literally, when Pharrell Williams wore a headdress on the cover of Elle magazine, a fashion choice for which he later apologized. Wanda Nanibush, a First Nations artist and activist in Toronto, says that if artists really want to honour First Nations people then they should find out what the symbols mean first. "The headdress is a sign of honour, so really the only way that someone like Chanel or Karl Lagerfeld​ or Pharrell could actually get one legitimately would be if they did something quite amazing for our people, and they haven't done that, so they don't deserve one." CBC Arts has the full story Thursday night onThe National. The Bass Coast Music Festival takes place Aug. 1-4 at the Merritt festival grounds in Merritt, B.C.